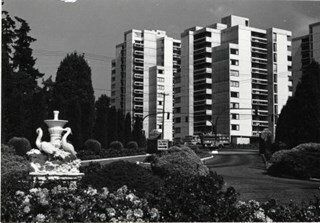 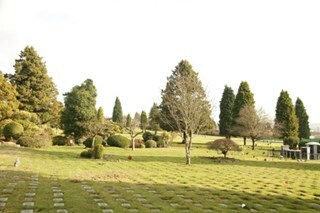 "Burnaby - 4000 Imperial Street"
Photograph of a fountain in Ocean View Cemetery near Central Park. 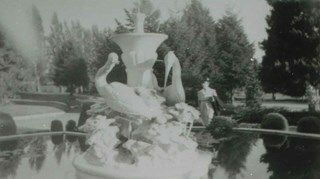 A woman is standing behind the fountain, and the design includes statues of birds. 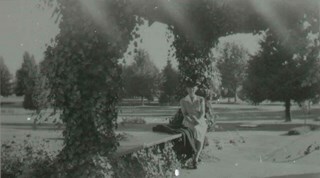 Photograph of an unidentified woman sitting just inside the gates of Ocean View Cemetery near Central Park. 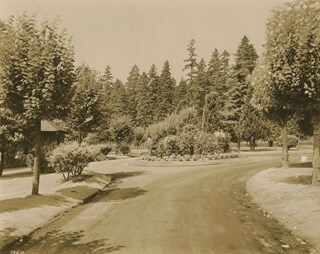 Photograph of landscaping and ornament just inside the main entrance of Ocean View Memorial Park at the corner of Imperial Street and Patterson Avenue. 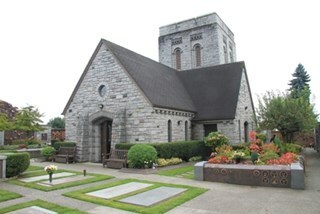 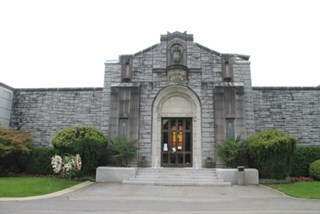 Photograph of the mausoleum in Ocean View Memorial Park. 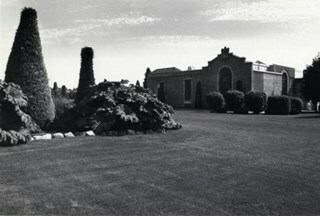 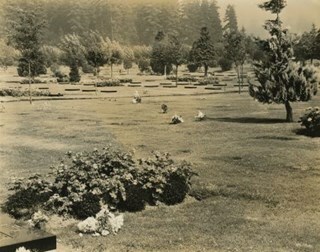 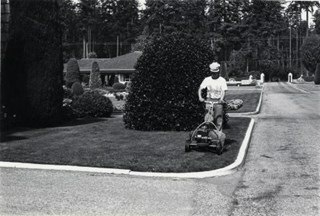 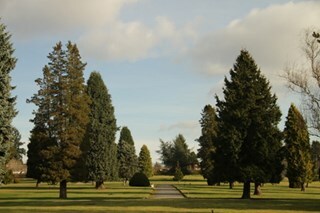 Photograph of a Burnaby Municipal outside division worker mowing a lawn at Ocean View Memorial Park on Imperial Street.